Summary: On the morning of January 14, Zhongyun Intelligent Machinery (Yantai) Co., Ltd. 2018 Annual Summary and Commendation Conference is held grandly. Chian Transport and Zhongyun Group Chairman Qu Qing, China National Intelligent Machinery (Yantai) Co., Ltd. General Manager Wang Kun attend the metting. On the morning of January 14, Zhongyun Intelligent Machinery (Yantai) Co., Ltd. 2018 Annual Summary and Commendation Conference is held grandly. 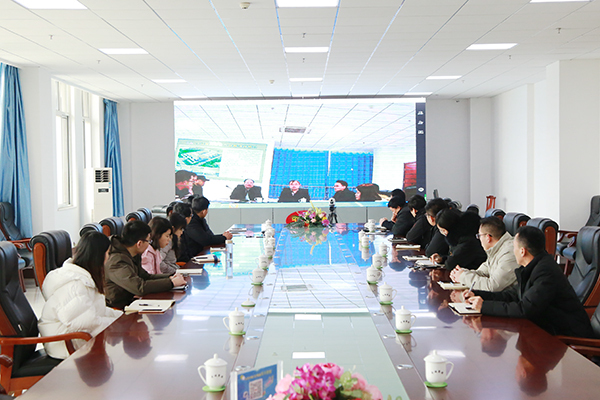 Chian Transport and Zhongyun Group Chairman Qu Qing, China National Intelligent Machinery (Yantai) Co., Ltd. General Manager Wang Kun attend the metting. The conference carefully summarized the progress and achievements of Yantai Company in 2018, deployed the main tasks and key tasks in 2019, and commended the outstanding cadres and advanced individuals in 2018. 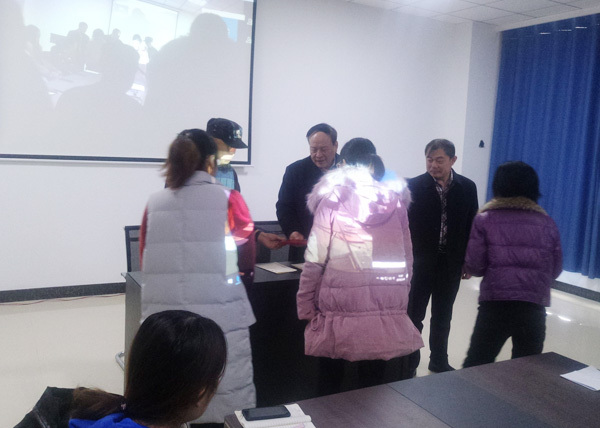 All employees of Zhongyun Intelligent Machinery (Yantai) Co., Ltd. attended the meeting together. Chian Transport and Zhongyun Group leaders watch the commendation meeting through remote video live broadcast. At the meeting, the list of 2018 "advanced individuals" and "excellent cadres" of Zhongyun Intelligent Machinery (Yantai) Co., Ltd. was read out, including 8 "advanced individuals" and 2 "excellent cadres". They performed their duties with due diligence and dedication. Full of responsibility, clear goals, and extraordinary execution, all of which focus on the company's interests, regardless of personal gains and losses, have made due contributions to the company's development. Subsequently, the winners of “advanced individuals” and “excellent cadres” successively took the stage to receive the awards, and the chairman of the board and the general manager of Wang gave them a certificate of honor and took a group photo. After the awarding ceremony, the representatives of the winners and the representatives of the employees made their speeches. Wang Kun, general manager of Zhongyun Intelligent Machinery (Yantai) Co., Ltd. made a summary report on the work of Yantai Company in 2018. Han Yong, the general manager of Chian Transport, expressed his gratitude to the cadres and individuals who contributed to the establishment, establishment and development of Yantai Company by means of remote video on behalf of the leadership of the two committees. Finally, the chairman of the board of directors focused on making an important speech from the "four responsible" aspects. He said that the Group always adheres to the corporate mission of “responsible to the state, responsible to the society, responsible to customers, and responsible to employees”. This is the fundamental driving force for our business to become bigger and stronger. He highly affirmed the development achievements of Yantai Company in the past year. He said that the company's development cannot be separated from the strong support and help of all levels of government. It is inseparable from the unremitting efforts and hard work of all employees. 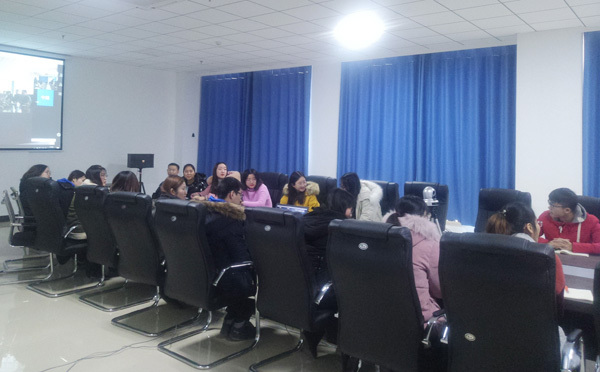 In 2019, Chian Transport will As always, Yantai Company is fully supported in terms of personnel, training, funds and policies. The chairman of the board also encourages everyone to work hard, go all out, develop and innovate, and move forward in the new year, and make unremitting efforts to successfully complete the mission goal of 2019 and create a better future!